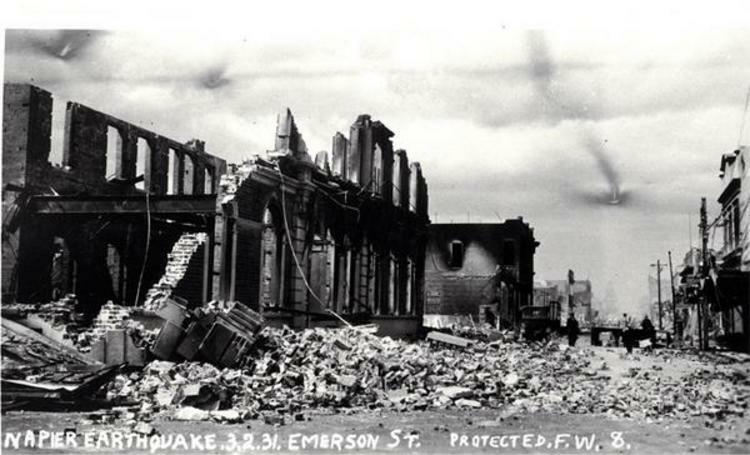 Occurring at 10:47 am (NZ Summer Time) on Tuesday, 3 February 1931, the Hawke’s Bay earthquake (also known as the Napier Earthquake) is recorded as having caused the largest loss of life and most extensive damage of any quake in New Zealand’s history. 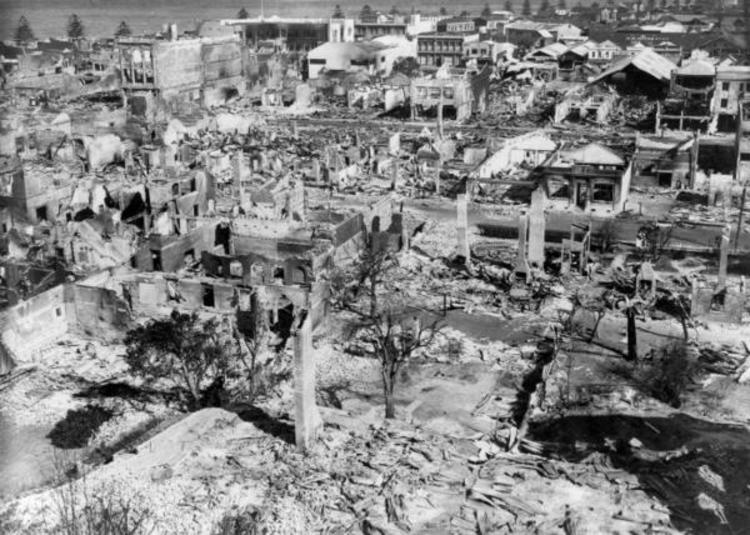 The effects of the earthquake were greatest in the towns of Napier and Hastings, but other towns in the Hawke’s Bay also suffered major damage. 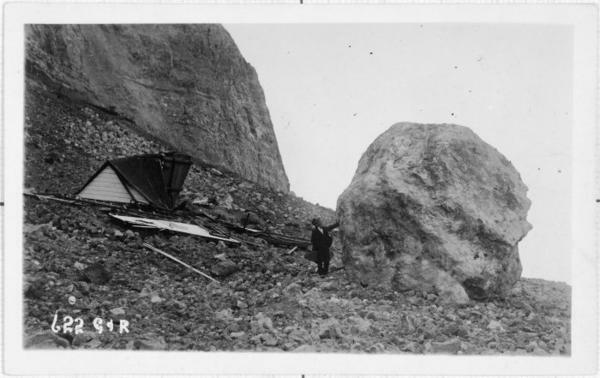 The maximum intensity reached was MM 10, with extensive fissuring, slumping and landslides occurring over much of Hawke’s Bay. The official death toll was 256 and 593 people sustained serious injuries that required hospitalisation. The earthquake was followed by fires in the business areas of both Napier and Hastings that became uncontrollable as water pressure dwindled because of broken water mains. The Ahuriri Lagoon in Napier was raised drastically in the earthquake, changing the coastline significantly and leaving hundreds of fish and horse mussels exposed on dry land. The earthquake was felt throughout most of New Zealand except for areas in the far south and the far north. It also deformed the surface of the land in the surrounding area, pushing up a long dome running northeast-southwest. 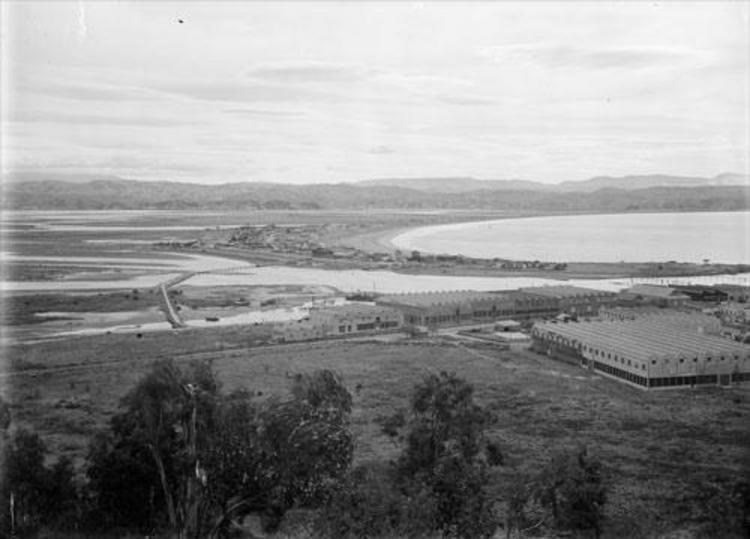 The dome was 17 km wide and over 90 km long, and extended from the northeast of the Mohaka River mouth to southwest of Hastings. 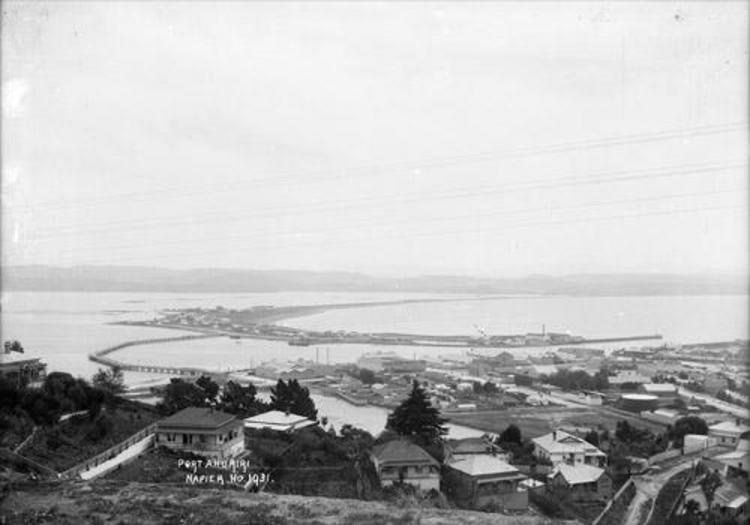 The ground was raised by up to 2.7 m near the mouth of the Arapaoanui River, while at Hastings it sank by up to one metre. Along the dome created by the earthquake, some rock folded under the pressure, while at the south-western end about 15 km of rock was broken by surface faulting. Today, only 3 km of this fault trace remains visible1. 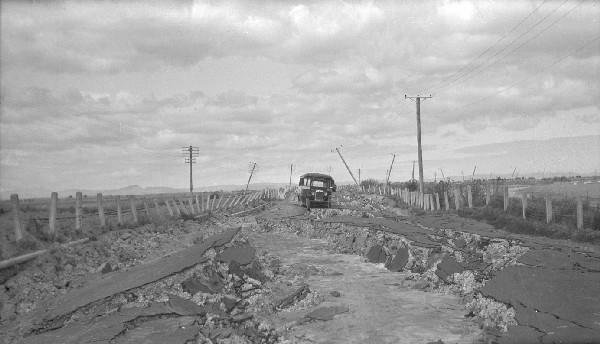 Following the main shock, the Hawke’s Bay Province experienced many scattered aftershocks, some of them very large. The largest had a magnitude MS 7.3, and it struck the already devastated region 10 days later, at 1:27 pm (NZ Summer Time) on Friday, 13 February. Its epicentre was ~50 km from that of the initial quake, offshore and to the east. 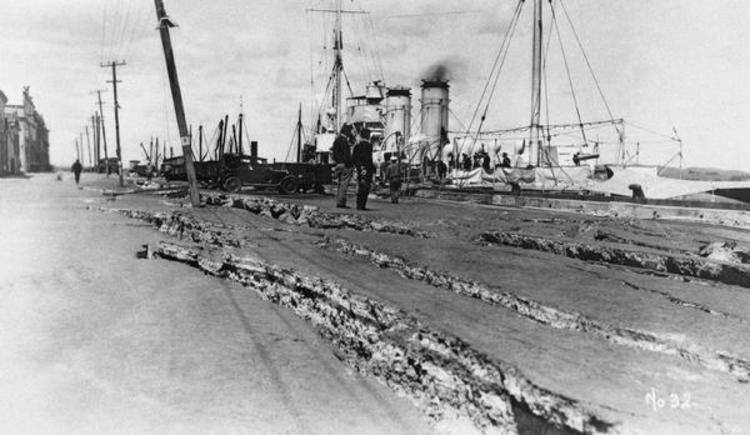 It was felt widely from Hamilton to Christchurch, and was described by some inland communities as even more violent than the 3 February shock.